Hans Newsidler: Nach willen dein (1536). German lute songs from the first half of the 16th century. Sunday 8 November 2015 17:00 — Fresco hall, Na Cucky Theatre, Wurmova 7, 779 00 Olomouc, Czech Republic. The concert takes places within the project “German Renaissance Songs”. This project also comprises a series of educational activities in cooperation with a Consortium of Universities. Paul Hofhaimer (1459 – 1537) Mein einigs A. Domestic music played a major role for the emerging bourgeoisie of the 16th century. The newly created and fast-spreading printing industry had made book publishing a lucrative source of income. Lutenists like Hans Newsidler and Hans Gerle made use of this and published collections of lute music for domestic use, combined with guidelines for self-instruction, something completely new. The blind organist Arnolt Schlick published in 1512 in Heidelberg Tabulaturen Etlicher lobgesang und lidlein uff die orgeln und lauten (Tablatures of hymns and songs for the organs and lutes), comprising the first printed solo pieces for the lute in Germany. Hans Judenkünig, a native of Schwabisch Gmünd, published in 1515 the Latin Utilis et compendiaria introductio for university students, and in 1523 the German Ain schone kunstliche underweisung (A fine and artful instruction) for the burghers (“der gemayn man”), intended for self-instruction. The central figure of the German lute music of the first half of the 16th century was Hans Newsidler, a native of Pressburg (now: Bratislava). After moving to Nuremberg in 1530, he published in the years 1536–1549 eight books of tablature, representing the entire spectrum of music as it was practised at that time. His first book, Ein Newgeordent Künstlich Lautenbuch (A newly organised artful lute book, 1536) for those who are “experienced in this art” contains important instructions about technique and a large number of pieces for self-study, ranging from easy to intermediate difficulty, partly with detailed fingerings. Der ander theil des Lautenbuchs (The second part of the lute book, 1536) “for those experienced in this art” includes sophisticated virtuoso intabulations of music by Ludwig Senfl, Paul Hofheim and Josquin des Prez, as well as Preambeln (preludes). Its most virtuosic pieces treat dissonance boldly; one is tempted to speak of a narcissistic mannerist ornamentation. Petrus Fabritius from Tondern (today: Tønder, Denmark) was one of the users of the lute books. At the age of 14 he went to Rostock to study theology. During his studies, he copied 300 densely written pages full of music, initially mostly drinking songs and love songs, but towards the end of the book also intabulations of psalms, – a repertoire more suitable for an aspiring priest. Bettina Pahn was born in Erfurt. She studied initially violoncello and continued studying singing at the Music Academy “Hanns Eisler” in Berlin und in Frankfurt with Elsa Cavelti. Since June 2012 she is trained by the internationally renowned Dutch vocal coach Margreet Honig. Her agile lyrical soprano voice soon arose interest from various conductors within the genres oratory, early music and Lied. The German soprano established herself as a leading singer for historically informed performances through concerts and recordings with Ton Koopman, through concerts at important venues such as the Carnegie Hall in New York and the Concertgebouw in Amsterdam, and through guest performances at the Händel Festival in Göttingen and at the Schleswig-Holstein Music Festival. So far four volumes of CDs with Ton Koopman have been released, devoted to the music of Dieterich Buxtehude. The second volume Opera Omnia VII – Volume 3 was awarded the Echo-Klassik 2009 reward. 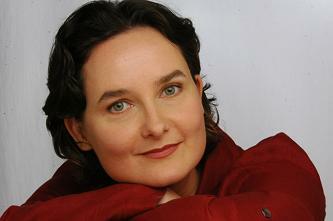 Between 2012 and 2014, she recorded numerous solo cantatas by Buxtehude under the direction of Ton Koopman. Bettina Pahn sang also under the direction of, for instance, Frieder Bernius, Pierre Cao, Peter Rundel and Patrick Peire. Bettina has a long-standing successful cooperation with her duo partner, the Echo laureate Joachim Held (lute). The duo performed with great applause at the Händel Festival in Göttingen in 2007, at the Schwetzinger Festspiele in June 2008, and at the Schleswig-Holstein Festival in August 2009. Together with the Ensemble Sarband the performed at the Händel Festival in Halle in 2011. Their first CD, comprising German folk songs, was released by Hänssler in the autumn 2007, and in July 2009 followed the CD Stille Nacht (Silent Night) with old German Christmas songs. In July 2011 they followed an invitation to the Innsbrucker Festwochen für Alte Musik. For 2015 they are invited to the Itinéraire Baroque festival in Périgord. In September 2014 Bettina Pahn and Tini Mathot (pianoforte) recorded a CD for the label Naxos with songs the of the second generation of the Berlin “Liederschule”. For 2015 she will record Carl Philipp Emanuel Bach’s secular songs for Naxos. For 2016 and 2017, she plans to record two CDs for the label Hänssler Classic, comprising musical settings of Paul Gerhardt’s poems, performed together with Joachim Held (lute) and Christine Schornsheim (organ). Joachim Held was born in Hamburg. He received his musical education at the Schola Cantorum Basiliensis as a student of Eugen Dombois and Hopkinson Smith, graduating with a “Diploma of Period Music” in 1988. From 1988–1990 he studied with Jürgen Hübscher at the Musik­hochschule Karlsruhe, graduating with a “Künstlerische Abschluss­prüfung”. In 1990 he was awarded the second prize at the Concours Musica Antiqua of the Flandern Festival in Brügge, marking the beginning of an an intensive international concert activity as soloist, chamber musician and continuo player. Since 1993 (L’incoronazione di Poppea in the Salzburg Festival) Joachim Held performs regularly under the direction of Nikolaus Harnoncourt. Under Harnoncourt he also participated in the production of Henry Purcell’s King Arthur at the Salzburg Festival. Since 1992 Joachim Held appeared with Il Giardino Armonico (Milan) in numerous concerts and on recordings (amongst others on the Vivaldi Album with Cecialia Bartoli for Decca). Since 2005 Joachim Held’s solo-CDs are released world-wide by Hänssler Classic. That year appeared the Schele Manuskript Hamburg 1619 CD (co-produced with the Swiss Radio DRS2 Zurich) and the Erfreuliche Lautenlust with music by Austrian composers for the Baroque lute. This CD was awarded the “Echo Klassik 2006” for the best solo recording of music from the 17th/18th centuries. In 2006 the CD German Lute Music of the Baroque was released by Hänssler Classic in cooperation with Deutschlandfunk Köln. In 2007 followed Che Soavita, Italian lute music of the Baroque, and in June 2008 Musique pour le roi, French lute musique of the Baroque. In 2010 he devoted the CD Merry Melancholy to the music of the time of John Dowland. His most recent CD with lute music by Johann Sebastian Bach was released in 2013, also by Hänssler Classic. 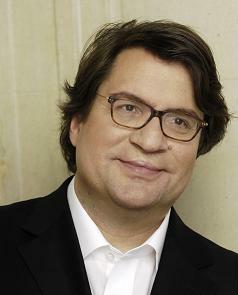 As a soloist Joachim Held appeared amongst others at the Musikfestspielen Potsdam Sanssouci, at the International Bach Festival Schaffhausen, the Schwetzinger Festspiele, the Bachfesttage in Köthen, the Concerti a San Maurizio in Milan, the Early Music Forum Budapest, the Hausmusik concert series of the ORF Vienna, the Lute Society London, the Schleswig-Holstein Music Festival, the Bachwoche Ansbach and the Händel festivals in Halle an der Saale and in Göttingen. Since 1996, Joachim Held and Bettina Pahn performed together in concerts, for instance at the Händel festival in Göttingen, the Schwetzinger Festspiele, the Kissinger Winterzauber, the Ambras castle concerts and at the Schleswig–Holstein Music Festival. Since September 2007, Joachim teaches at the Royal Conservatory in The Hague. In 2010 he was appointed Professor for Historical Lute Instruments at the Hochschule für Künste in Bremen. Petrus Fabritius: Bistu des Goldtschmids Tochterlein (DK–Kk Thott 4º 841 No. 167 fol. 89r). The concert takes place with financial support from the Ministry of Culture of the Czech Republic and the Česko-německý fond budoucnosti (Czech-German Fund for the Future). The project “German Renaissance Songs” is realized in cooperation with a Consortium of Universities and with kind support by the Česko-německý fond budoucnosti. The concert “Nach Willen Dein” in Kroměříž takes place with active support from the following partners: The Archbishops’ Château and Gardens Kroměříž (NPÚ), the Kroměříž Archdiocesan Museum (MUO) and the Czech National Trust o.p.s.